200+ traders are currently enrolled in the online version of our hugely popular seminars from the last ten years. Our friends at RacingTraders invited me to host the Betfair Trading Sports Trading Master Class online course a while ago. It’s a ten year trading experience, condensed into a series of videos to show you how to get started, then improve, then specialise, then succeed. It will involve time, patience, effort, commitment, desire. It will frustrate you, test you, punish you, and reward you. Thousands of course delegates have already completed the course syllabus at venues throughout the UK at a price of £399. Over 200 traders are currently enrolled in the online version of our hugely popular seminars from the last ten years. At only £199 currently with a price increase to £249 due soon now might be a good time to invest in yourself if you haven’t already done so? The course is aimed at developing beginners and intermediate sports trading skills and to those people who want to look at taking their recreational trading activities to a higher level. The course is primarily horse racing & football focused but we do also touch on other sports. The Betfair Sports Trading Master Class Online will help you improve your understanding of Betfair sports markets and you will see how Tony analyses matches to identify trading opportunities. You will be shown how to implement trading strategies by using good money management along with a focus on the psychology of trading. The trading in play module will show you how to spot the opportunities that arise and how to read racing markets with minimal knowledge. There is a clear plan to move you from a hobby to a more serious approach. You will understand the common reasons for failure so that they can be avoided and you’ll find out why in Betfair trading research and analysis is so important. Do you really understand value and probability? No? You need to. Enroll now. The essential three pillars of strategy , discipline and risk management will be highlighted from Tony’s unique perspective. Do you have a plan? Every day before you start your Betfair trading day? When trading the sports markets it is essential to understand the process that you should use BEFORE getting involved. 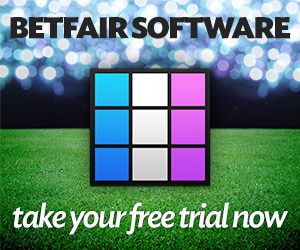 What if you had a horse racing strategy that will work on all Betfair UK horse racing markets? This strategy will pay for the course many times over and set you on the route to success. Prefer football? There’s a strategy for that too. Get Tony’s unique perspective on his favourite strategy that is not shared elsewhere but is hugely profitable. Are you on the right side? Then it’s important to learn the trading out strategy that will help you to maximise your profit and minimise risk. I have stressed that money management is key everywhere. But if you join now then you’ll get stucture which will help you day in, day out. In the Betfair trading markets today it helps to know your sport. Find out why before you place another trade. There are many things you must do to succeed or YOU WILL FAIL! Do you follow a structure EVERY day? In the Betfair Sports Trading Master Class you will learn how to succeed. What’s your view on unbeatable favourites? This gem will save you a fortune. Tony has never shared his exact strategy to scalp horses anywhere apart from on the RacingTraders courses. You will learn his exact trading techniques with a series of trading videos in the Betfair Sports Trading Master Class Online not available elsewhere. The main training course is split into 12 videos (modules) with a further 10 videos showing live trading in action. So, what are you waiting for? Do you really want to trawl though the mountain of free crap on YouTube most of which isn’t relevant today? Or do you want to invest in yourself and join over 200 traders traders enrolled in the Betfair Sports Trading Master Class Online? There are 144 Guests online and 97 Members Logged In currently reading JuiceStorm.com. Welcome everyone. Join TradeChat for a chance EVERY month to win a year's subscription to TradeSelect - worth £600!